eCommerce is a lot about experimentation. A lot of times you won’t be sure about the exact strategy that will bring you success. In such a scenario, the best possible way is to try out two best scenarios and find out which works best. For an online store owner, this process is continuous, as customer behavior and technology is consistently changing. A/B Testing or split testing, as it is called, is a popular approach in web analytics that will help you compare and determine the best page from two options. Online store owners can make good use of split testing to improve sales and conversions. 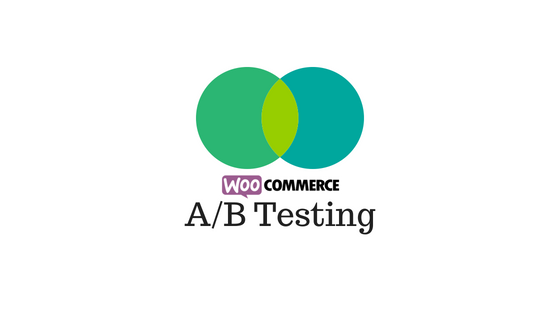 This article will guide you on how to effectively use A/B testing on your WooCommerce store. You will find some other tips to improve your conversion rate here. Before getting into the details of the process, let us find out the basics about it. A/B testing or split testing observes user response to two versions of the same variable (for example a product page). The results can then be easily compared to understand which version is more effective. This is very useful in determining the effectiveness of different web pages. For an eCommerce site, a lot of design, navigation and copy features can be improved using A/B Testing. It has been suggested as a recommended strategy to continuously improve customer experience on your store. If you are wondering how design tweaks can influence your customer experience, here is an article with a few tips. When you look around the current technological landscape, you will find quite a lot of tools to help you experiment. Let’s look at some of these tools in more detail. With the help of Google Optimize, you can thoroughly test which variations of a web page works well with your customers. This will help to improve customer experience on your store, and subsequently sales and conversions too. It is one of the fastest ways to launch a test across your entire site. It integrates seamlessly, with your existing Google Analytics data and provide significant insights to improve customer experience on your site. You can also enhance the relevance of an experience at a particular moment when the customer is on your site. It is pretty simple to set up A/B, redirect or multi-variate tests with optimize to understand varying user responses to them. You can sign up for it free, and it is pretty easy to set up. 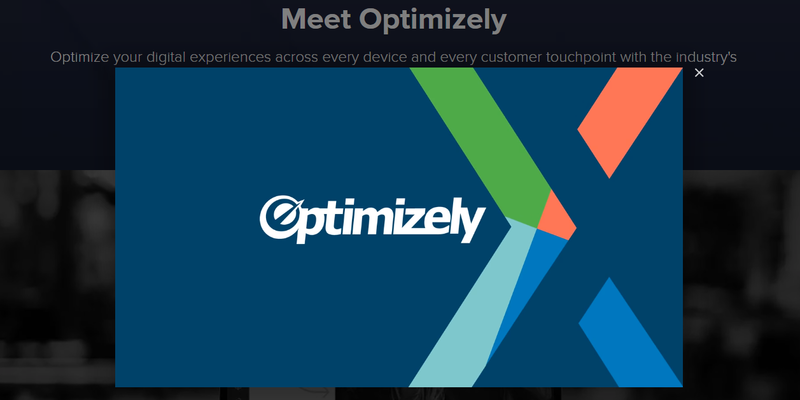 Optimizely is another great platform that you can use to experiment and optimize your customer experiences. Every time you launch a new product, you can use Optimizely to make decisions easier with the help of these test results. Basically, you no longer need to assume user’s preference over specific aspects on your product or website design. With the continuous use of Optimizely, you can achieve better operational efficiency, and as a result, better customer satisfaction and conversions. Optimizely helps you experiment with several aspects of your site to ensure a great customer experience. All departments part of your business can use the experimentation platform provided by Optimizely. Be it the marketing experimenting with the advertising channel that bring in most results, or product development trying out essential, features, it helps your business a lot. You can very well use the available data on customer preferences to plan tailor made experiences for them. It also helps with program management with workflow collaboration tools. Furthermore, it incorporates machine learning algorithm to set up product and content recommendations on your store. Apart from the SaaS solutions discussed above, there are a few good WordPress plugins as well that will help you with A/B Testing. Let’s take a look. You will have to subscribe for a paid plan to get this one working. And, it is a cloud based application. You can start with a free trial, where you can understand the effectiveness of the solution. Nelio is quite powerful as it uses heatmaps to give you great possibilities in experimentation. 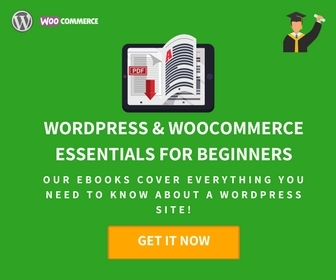 As it is compatible with WooCommerce, you can very well try out different variations in product images, titles, description, etc. You will find some tips here to improve your WooCommerce product information page. You can use the free trial of Nelio testing to get an idea on the tool by installing the WordPress plugin. Let’s take a quick look at the distinguishing features of Nelio. As it offers a seamless integration with your WordPress site, you can manage everything right from the navigation panel of your WordPress site. There won’t be any trouble for WordPress users in getting used to the UI as well. It offers great options to check the content of your WordPress site. You can test content on your pages, posts and custom post types effortlessly with the help of Nelio. It helps you test each of your blog posts. You can try out different titles, excerpts and featured images to understand which one works best. Nelio provides you an option to test your navigation menu and widgets. This means you can try out different combinations and keep the best one. Nelio uses heatmaps to give you an accurate idea on user behavior on your site. With the help of this, you can easily understand elements that hamper the smooth flow in your sales funnel. It also helps you test new themes when you are planning to switch. You will also get an option to any custom CSS rules that you may want to apply on your site. It helps you focus on the most important aspect on your online store – conversions. There might be several options that you may want to experiment with, but Nelio helps you bring back focus to your sales funnel. This one helps you run A/B tests on your WordPress site, even if you don’t have coding knowledge. The plugin works in an optimized fashion to make sure that it doesn’t impact your SEO negatively. It integrates with your Google Analytics goals and offers actionable insights on customer behavior. Simple page tester is also compatible with caching solutions, so that you don’t need to worry about related problems. You can easily set up split tests on your WordPress site with the help of the free version of the plugin. The premium version of the plugin helps you keep your focus intact on the conversions on your store. This plugin is not a dedicated tool for A/B testing. in fact, it helps you create Call to Action messages on your WordPress site. As you know, Call to Action messages play a big role in the conversion rate on your site. This plugin offers you to run A/B Tests on your site to understand the effectiveness of your Calls to Action feature. It follows proven marketing strategies, and as a result, definitely increases the chances of conversion on your site. 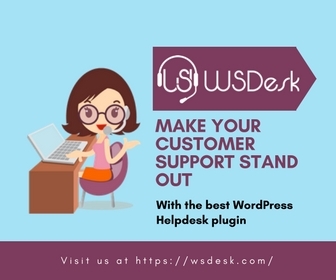 Create and optimize calls to action on your WordPress site with the help of this plugin. Create effective and interesting call to action messages on your WordPress site. Easy to use visual editor to make changes instantly. Create popups that will help to convert leads more effectively. Run A/B tests by duplicating existing calls to actions and changing specific aspects. A/B testing is a great way to understand how different aspects of your website is perceived by your audience. 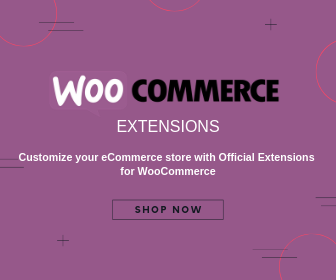 If you are running a WooCommerce store, it will give you specific insights on what actually works for your target audience. This will enable you to improve your conversion rate considerably, and as a result you can make your store more profitable. Let’s look at some of the essential things you need to ensure while doing A/B Testing. One of the important aspects of A/B testing is that you need a clearly defined plan to make use of it. First of all, you need to understand what is one factor that you are looking to improve. Then identify how you can measure that one parameter. Once you have a clear idea on both these things, you can create variations of the same experience. For example, you may have a product on your store, that is not really doing well. So, basically you want to improve the conversion rate for this product. What is the one parameter that you want to measure here? Probably the first thing you want to see is how many people are adding the particular product to cart. And you might start the process with your product page. Let’s say you want to see if your product description is effective. You create another product page (B) with a variant description that has more focus on user experience. Keep both the pages up for a certain period (say two weeks), and then test if there is any improvement in the Add to Cart rate. If you notice considerable improvement, that means your original description was not really effective. Such specific insights are what you should look for in A/B Testing. If you mix a lot of things in one test, you might not get a useful insight. Now, you have started the A/B testing with just one aspect, that is the product description. However, there are chances that it is not the only option to improve. There might be several other aspects on the product page itself, which you can improve; like title, images, etc. Or, there might be a problem with your checkout. Only with continued efforts, you will be able to fully improve the conversion rate on your site. 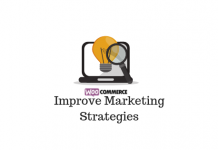 Here is an article that will give you some insights on optimizing WooCommerce checkout. At the start of the test itself, you should be able to define a reasonable time range for the test. Too little or too long won’t really work. Based on the measurable data available on your site, you can easily determine this. For example, your average daily conversion rate should give you an estimate of when you can determine a significant change. If you drag the test for too long, there will new factors in play, which you have no idea about. Experimenting with your website is an ongoing process. Compared to a physical store, you can make changes easily on an online store. For example, changing the store layout will be an operational challenge for a physical store, while you can easily do that online. Customer behavior is continuously evolving in the eCommerce landscape, and you might miss out on new insights, if you are not thoroughly testing. There are always scope of improvement with an online store. With the help of A/B testing, you can assuredly know what your customers like and what they don’t. This will give you a definitive standing in terms of the changes that you apply to your site. Sometimes minor aspects on your site might be the ones that are hampering the conversion rate. To weed out such issues, you need to consistently experiment with your site design, layout and content. Hope this article has given you an overview on A/B testing and a few good tools to work with. Please leave a comment if you wish to share with us an insight on the matter.